The client knowledge base contains documents and links to information sources about interim management. All the documents are free to download. Whether a business is a large corporation, a small function, public sector department or not-for-profit organisation, there are times when it needs expert help – without delay. 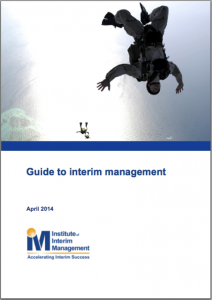 Discover what interim managers offer your business and how to get the best out of an interim manager. Professional Interim managers and executives charge a pro-rata day-rate based on their track record, seniority and to reflect the value that the client business will receives from their interim management solution. The work is then invoiced, either directly or via an interim service provider (agency). 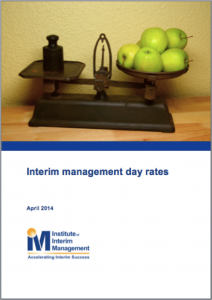 Discover how daily costs are calculated and how hiring an interim may offer true value. Each year the IIM surveys the interim management community to determine the very best interim service providers (interim agencies) linking interims to clients.